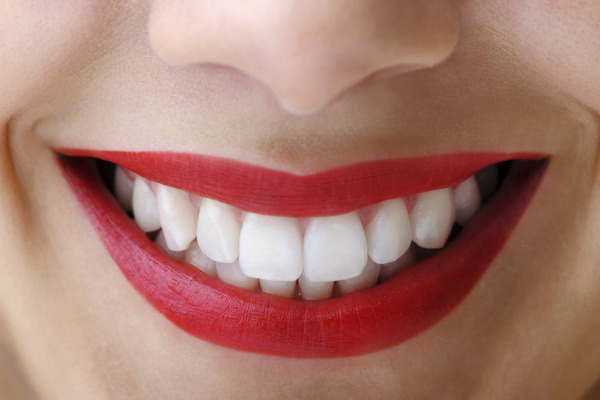 For those who have cosmetic issues with their smile, porcelain veneers may be able to help. In his Tulsa dental office, Dr. David Jump provides veneers for patients who are looking to improve the appearance of their smile in a way that is efficient and long-lasting. Using the finest porcelain material, Dr. Jump is able to create aesthetically pleasing restorations that grant you with an aesthetically-pleasing smile and a restored quality of life. Porcelain veneers consist of thin sheets of porcelain that are shaped and custom designed to fit over the surface of teeth. Veneers are used to change the size, shape, color, and overall structure of the teeth and are an ideal solution for treating many dental cosmetic issues. Although there are a variety of materials that can be used to create veneers, porcelain is able to better resist staining and is the closest equivalent to the properties of natural teeth. Overall, porcelain veneers are an excellent option for patients who wish to change the cosmetic appearance of their smile. However, the application of veneers depends on your specific diagnosis and treatment goals. Dr. Jump will begin your consultation by determining your goals and assessing your qualifications for porcelain veneers. Typically, the preparation and application of veneers takes up to two appointments with Dr. Jump. To prepare the teeth, Dr. Jump will etch your teeth and remove some enamel from your tooth’s natural surface. Next, Dr. Jump will take impressions of the etched teeth, which are then sent to a laboratory and used to craft your custom veneers. After a one to two week waiting period, you will return to Dr. Jump’s Tulsa office where he will apply the veneers, shape them for proper fit, adjust the color of the veneers, and cement them into place. The result is a seamless smile that looks natural and visually appealing. If you would like more information about porcelain veneers, or if you are interested in scheduling a consultation with Dr. David Jump, contact Cherry Street Family Dentistry in Tulsa, OK today!